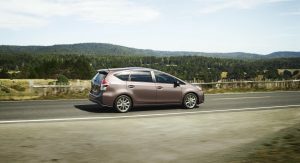 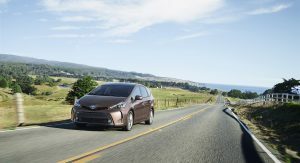 Following the refresh of the European-spec model (the Prius+) earlier this year, Toyota has applied a similar makeover to the Prius v sold in the United States. 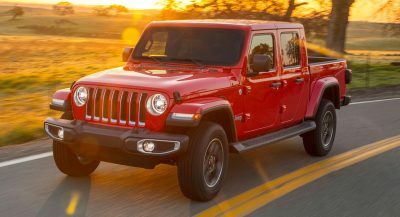 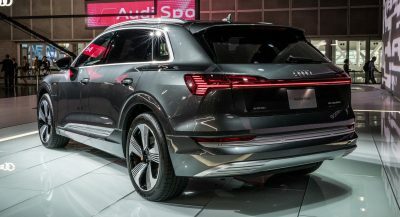 Debuting at the LA Auto Show, the model features a new front styling and new taillights, as well as new colors including Attitude Black Metallic, Absolutely Red and tasty Toasted Walnut Pearl. 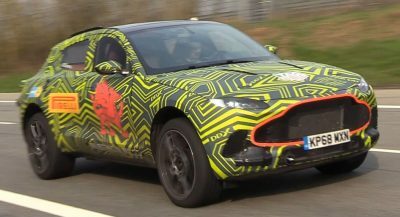 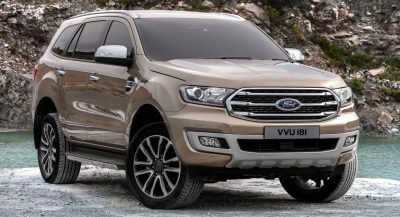 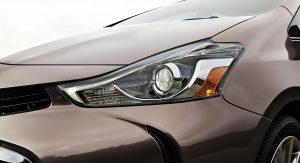 The car features a new front bumper and grille, available integrated fog lights and available LED low- and high-beam headlights. 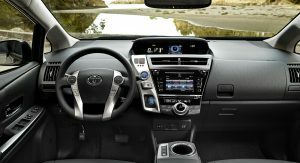 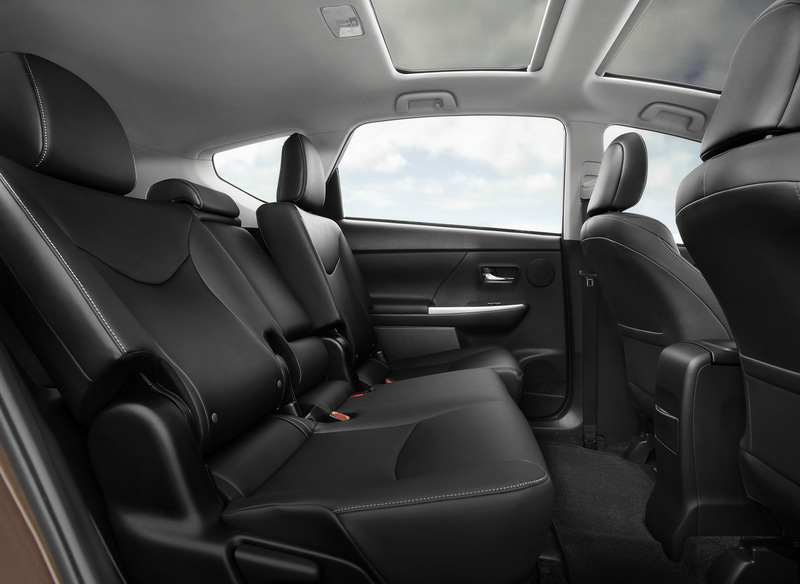 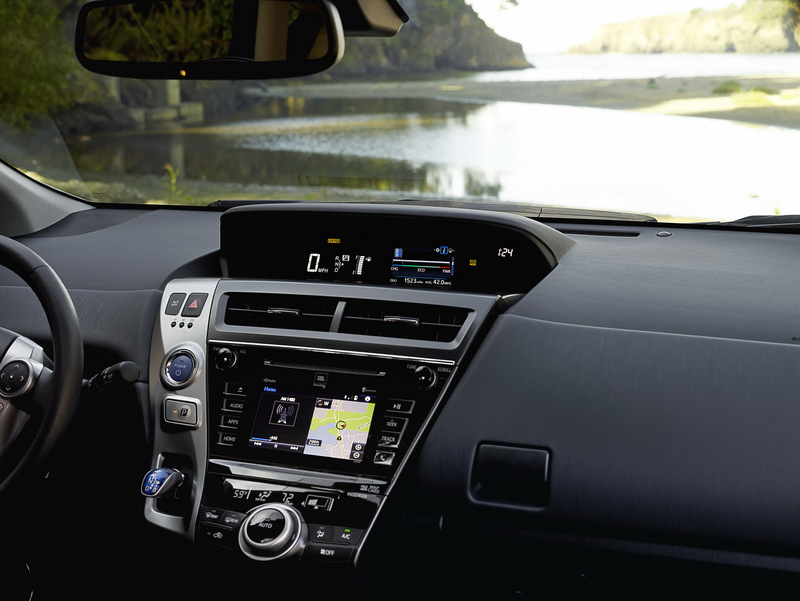 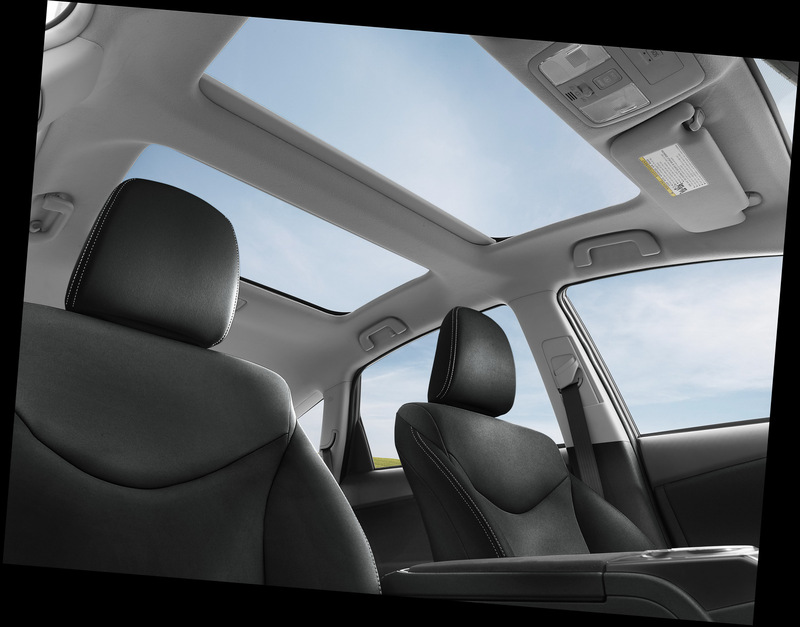 Inside, the 2015 Toyota Prius v gains improved equipment including a new Entune Audio system, newly available 8-way power driver’s seat and a 4.2-inch TFT screen (standard on Prius v Three and higher). 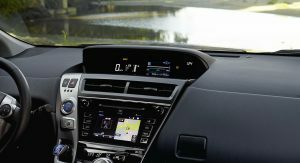 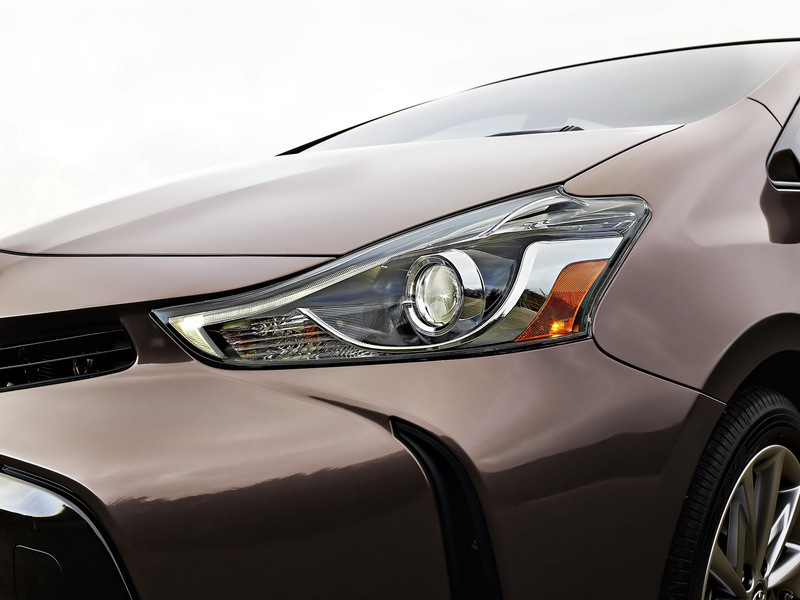 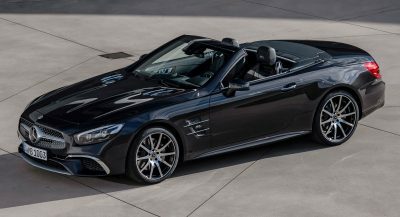 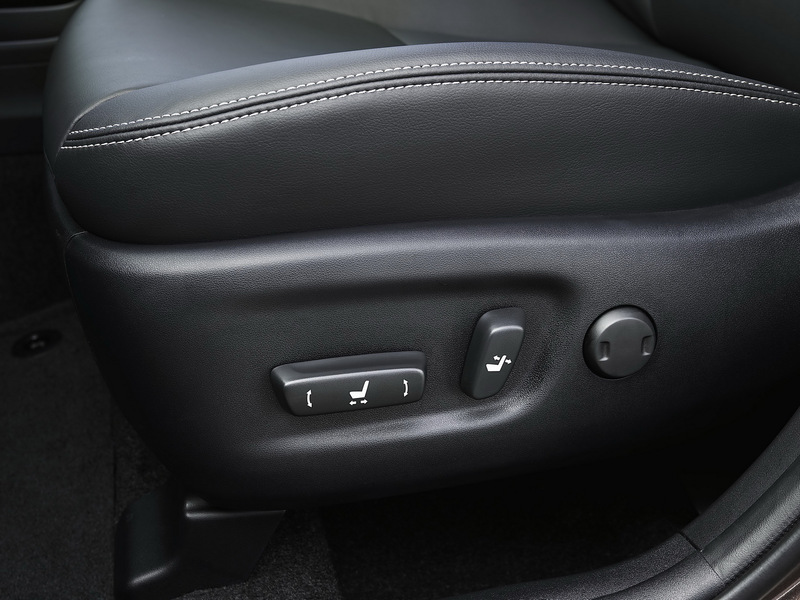 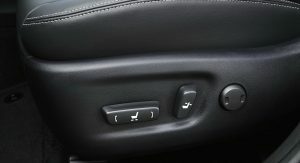 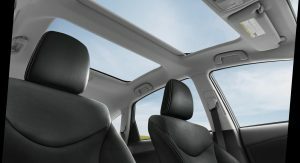 Additionally, the available Advanced Technology Package has been upgraded for 2015 model year and now includes the Automatic High Beams and Lane Departure Alert functions. 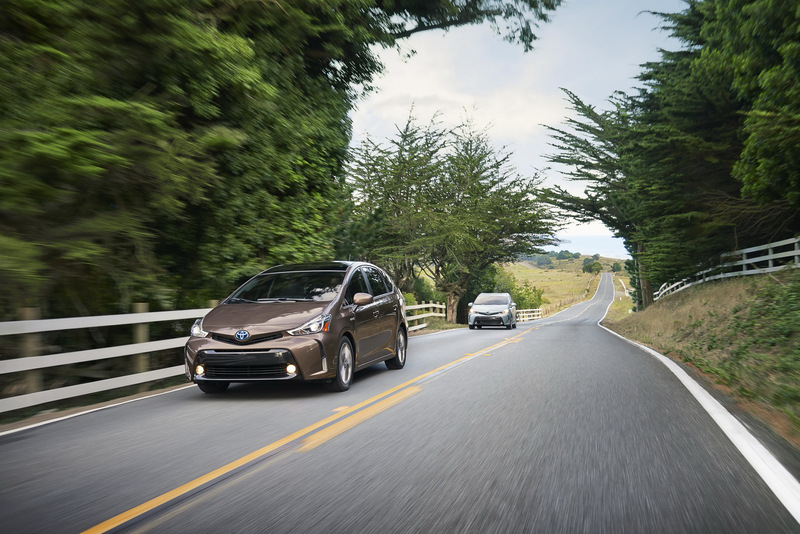 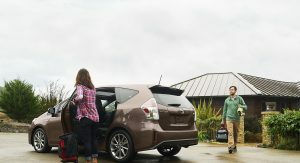 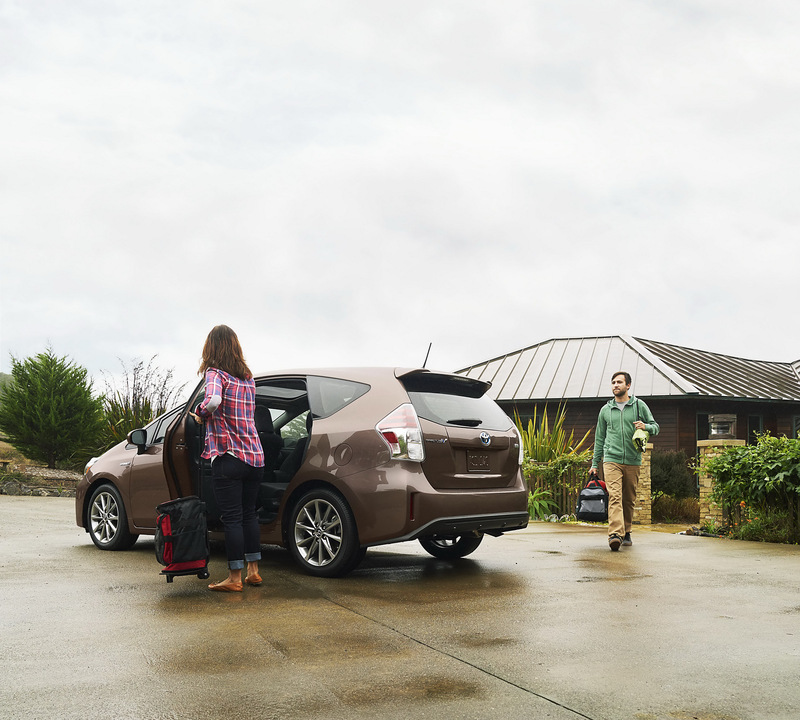 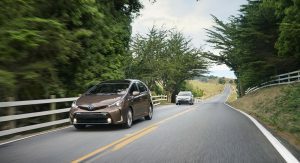 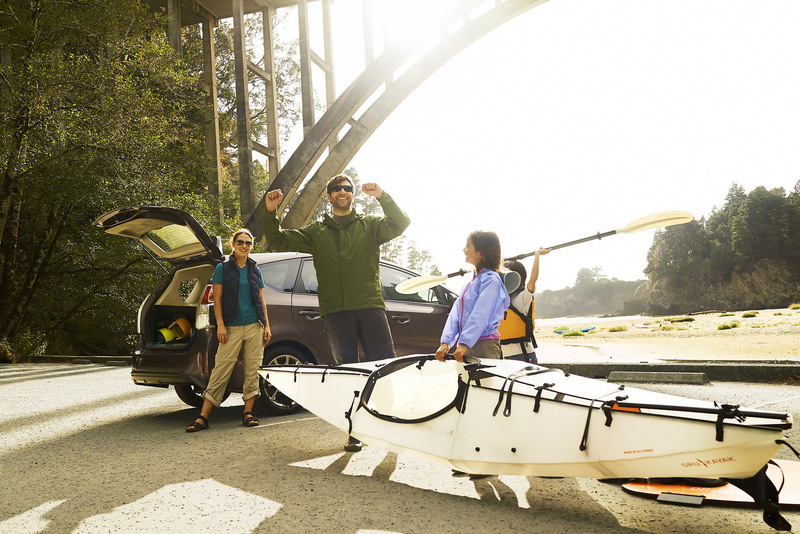 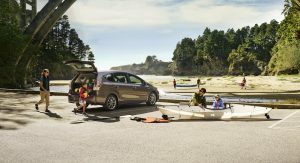 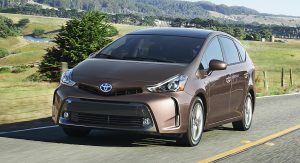 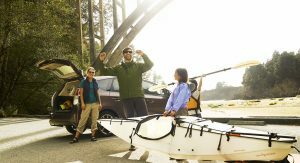 Nothing changes mechanically, with the Prius v using the same Hybrid Synergy Drive system as the standard Prius, which consists of a 1.8-liter Atkinson-cycle 4-cylinder engine, an electric motor and a nickel-metal hydride battery pack. 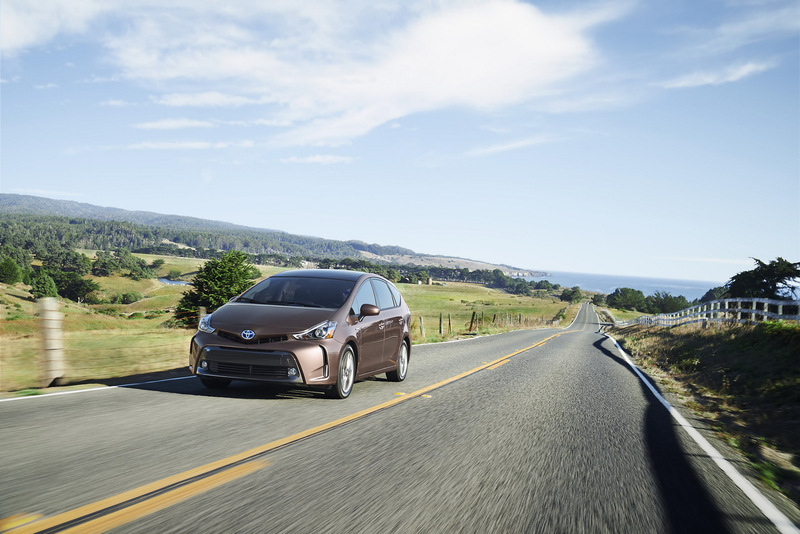 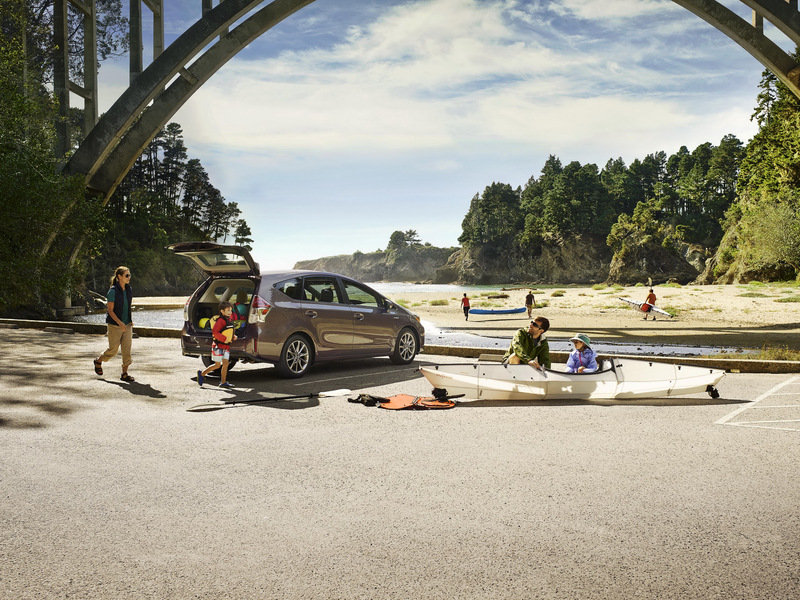 With a combined output of 134 horsepower, the Prius v delivers EPA-estimated 44 mpg (5.3 l/100 km) city / 40 mpg (5.9 l/100 km) highway ratings and can run on the gasoline engine alone, battery alone, or a combination of both. 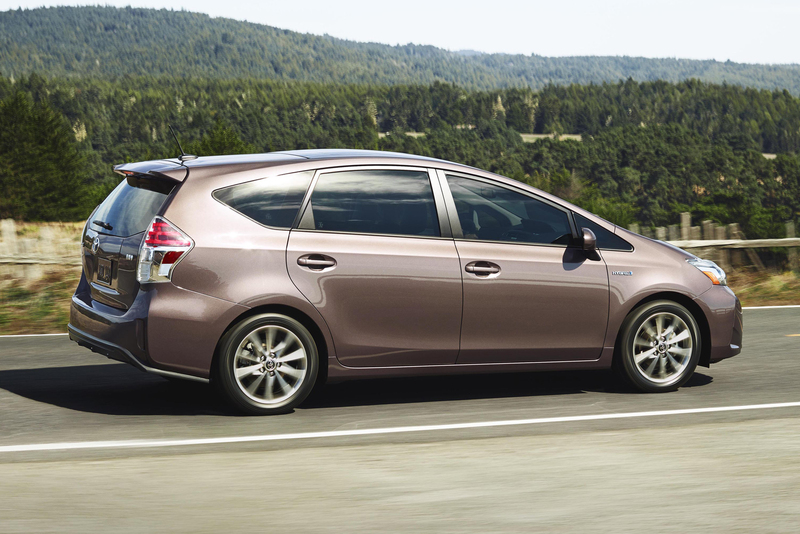 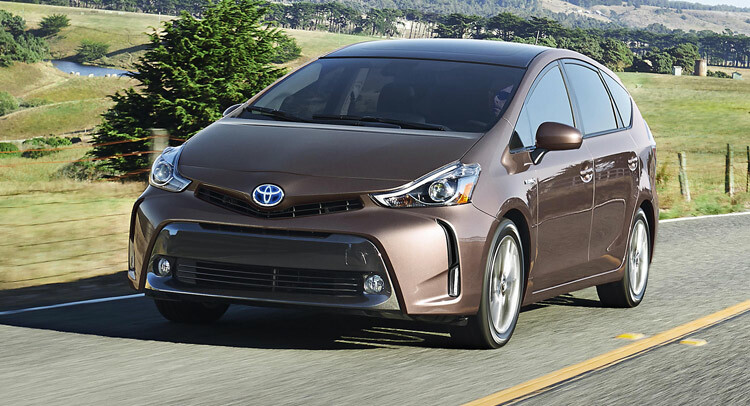 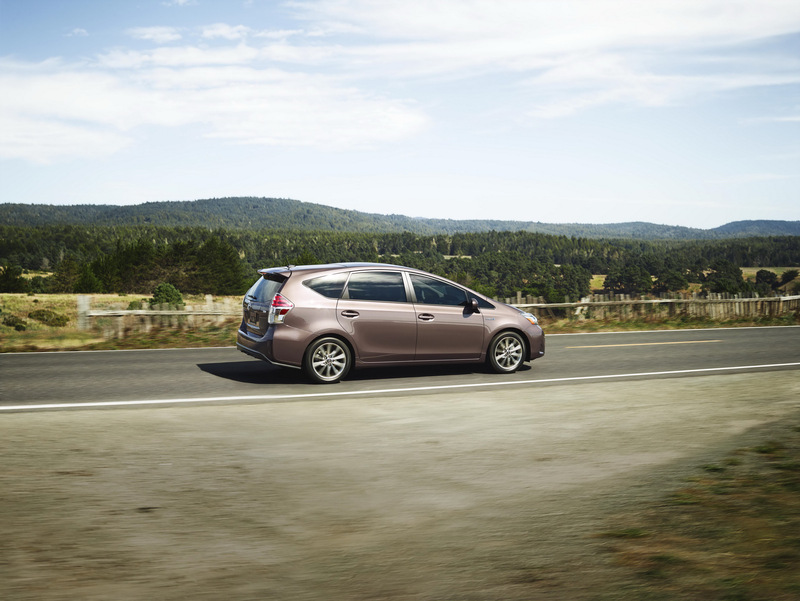 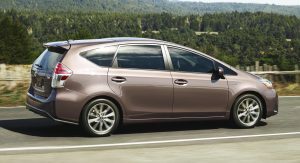 The 2015 Toyota Prius v will arrive in U.S. dealerships in December with a base MSRP of $26,675 for the Prius v Two. 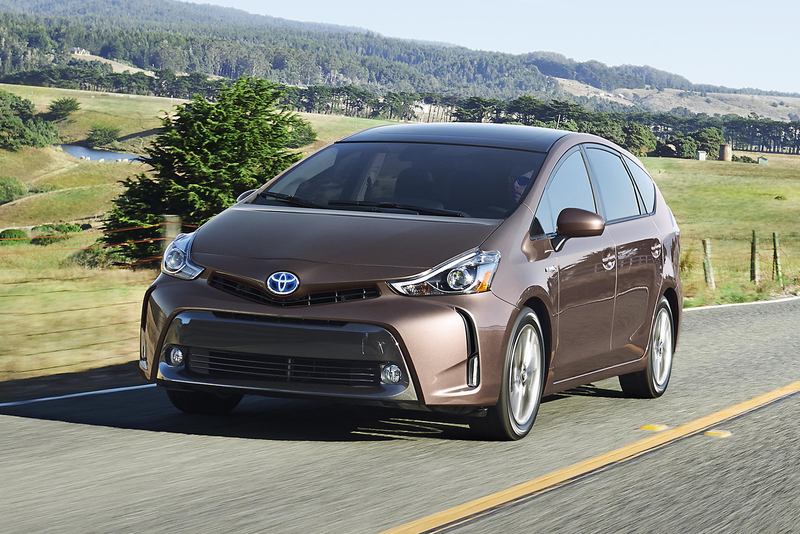 The Prius v Five will cost $30,935 (all pricing excludes a $825 delivery, processing, and handling fee).